Most parents make life even more difficult for their kids by commending them with strict instructions and dictating answers. You can do just the opposite. Let your kids decide where they need your help. When your children can explain you their problems, you can understand how much they understand their assignments. Before trying to help your kids with their homework, see if your kids are confident to do the homework themselves. Sometimes, letting them do their homework might be a little more time consuming, but that is a part of learning process. After your kid complete the homework by himself or herself, you can see if everything is okay. You can then correct him or her with the mistakes made. Allow them a little freedom when possible. Do not watch them like a boss and order the courses of action. Instead, be friendly and allow them freedom and allow breaks if they ask for it. 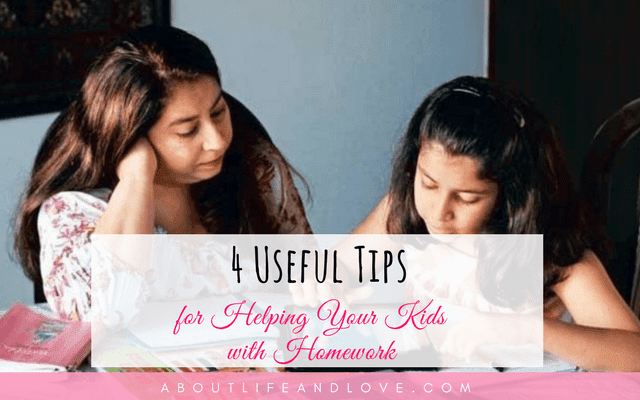 Your goal should be to get your kid complete the homework in time. These days there are useful tutorials online that your kids can watch to clearly understand various subjects they study in their school. If you are particularly too busy, just make such tutorials accessible to them. When you are taking care of some household chores, maybe your kid can learn something from Google play learning science app on your phone. If you are an iPhone user, you can look out for best apple studying apps as well. As a parent, you need to ensure you make life easy for your kids. And using the above mentioned tips can certainly make their life easier. Been there, done that. Had my share of this - my girl is all grown now, graduated and in her fifth year of working. How time flies! Speak about parenting, I know. Still managing though its parenting an adult kid now. Letting them show where they need help is a big one indeed. You are right parenting is a huge responsibility, good advice. Oh yes, parenting is a great responsibility! Thanks for sharing this useful post! Great tips. My parents did these with me, and it worked out pretty well :) Hope you're having a great weekend! These sound like great suggestions. Excellent advice. Especially about them doing the work.